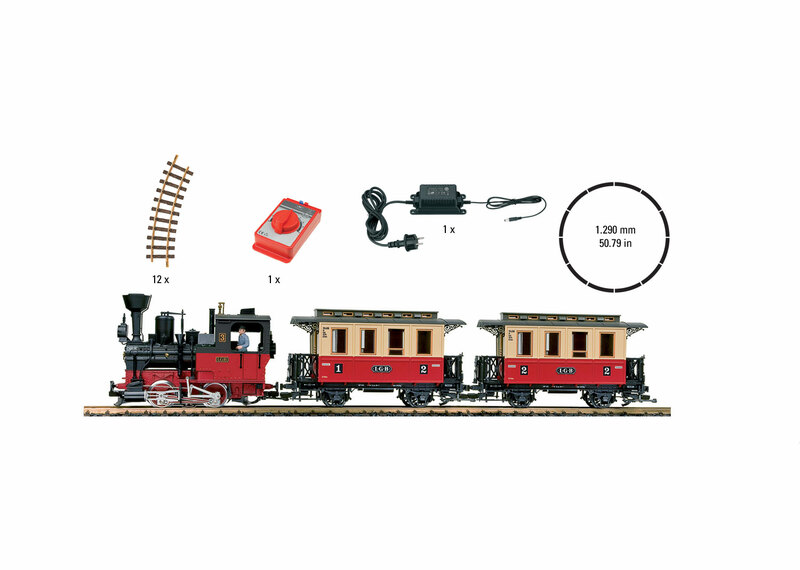 This starter set includes everything you need to enter the World of LGB: You get a "Stainz" steam locomotive with a powerful motor, electronic steam sound and a smoke generator, one general-purpose socket, 2 passenger cars, figures, a full circle of track (1,290 mm / 51" diameter), a power supply for 230 volts, and a controller. Train length 85 cm / 33-7/16". Simply set it up and go!